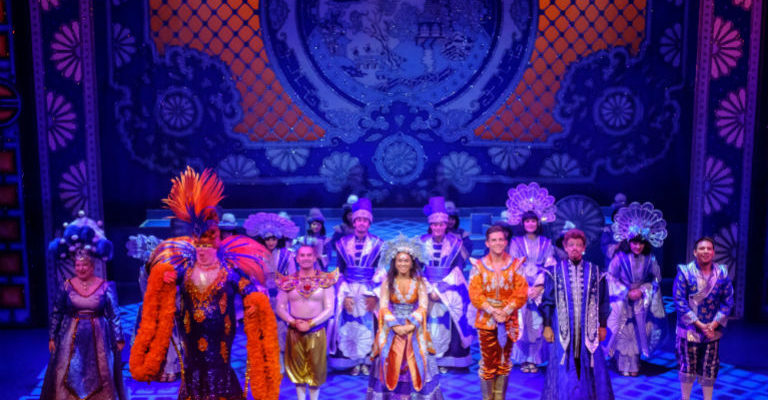 From the glitzy set to the eye boggling tassels of Widow Twankey’s bra, Aladdin at Darlington Hippodrome was a thoroughly enjoyable family night out. The classic panto tale had a funny local twist, especially with Twankey’s ‘Darlo’ song and the ongoing ‘banishment to Billingham’ joke! 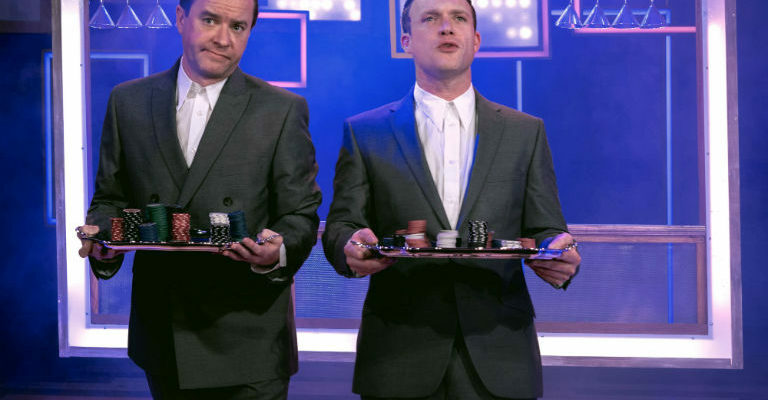 A very well put together cast, they played off each other wonderfully, especially with the improv from Louie Spence and don’t even get me started on his showbiz splits! Evil Abanazer’s quest to discover the magic lump – no it’s not a spelling mistake, you’ll just have to watch the show to figure out why! – was foiled by the loyal residents of Peking who pull together and rid 9th century China of the classic evil character, allowing Jasmine and Aladdin to marry in a glam ceremony. Local lass Zoe Birkett (aka Jasmine) and Carl Douglas (aka Aladdin) were a harmonious duo and their voices blended together and hit that sweet spot in the musical numbers every time. Wishee Washy (played brilliantly by Liam Mellor) brought the comedy in buckets and his crowd interaction went down a storm with all the boys and girls in the audience, along with Widow Twankey’s (Eric Potts) sarcasm. One stand out moment had to be the magic carpet trick, which was simply brilliant. Well done to the production team for that! This was our first panto at the recently renovated Hippodrome and it certainly won’t be our last. A lovely venue in central Darlington, it’s hosting Aladdin from 8th December 2018 to 6th January 2019 and this show will really start your Christmas off perfectly.